4 map locations to showcase those special places. Choose from either a white or black box frame. Hi there. I bought one of these for my girlfriend for our anniversary and she loved it !! 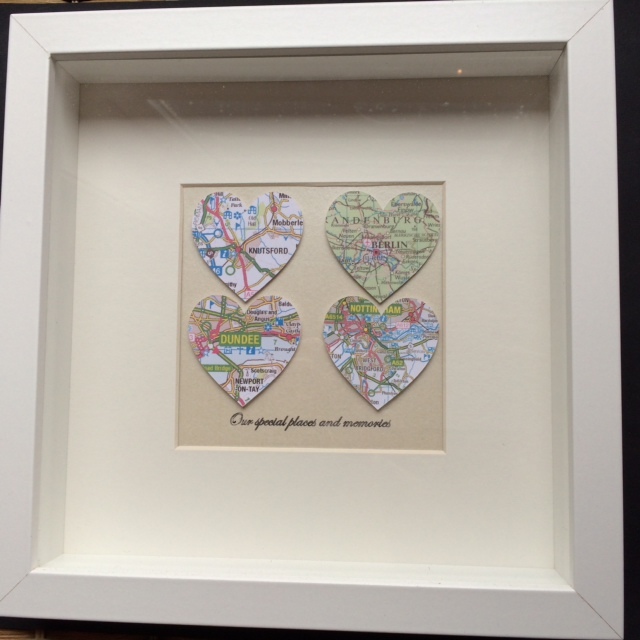 I had where we met, 2 places we have been on holiday and where we live, with of course a soppy message underneath. Thanks so much !! Tom.